Concrete Floors | Leaky Basement In Vaughan Region? Canada Waterproofers Can Help! Installing a new concrete floor in your basement is a great way of re-discovering usable storage or living space in your home – adding value to your investment. It’s also an opportunity to add more insulation to the home, saving you money in heating bills. And it’s further security to the foundation walls of your home, by supporting the bottom of the existing foundations. Take a look downstairs at your basement. Is it in a state of disrepair – crumbling, heaving or just in rough shape overall? Give Canada Waterproofers Vaughan Region a call. We’ll come by and give you a free on-site assessment of your concrete floor. We also can take care of any other concrete-related construction projects around the house – like walkways, steps, slabs, and overall repairs. We are not just a waterproofing company – although a new concrete floor is an integral part of an overall waterproofing system for the home. Talk to our Canada Waterproofers Vaughan Region technician about what is best for you. Installing a new floor is a great time to rough-in a future bathroom or kitchen, to help set up additional living space downstairs. That new living space could become a separate apartment for rental income purposes, extra money in your pocket. It’s also an opportune time to replace all the existing sewer lines in the home. Then of course there is waterproofing. The process of installing a new concrete floor is the perfect time for an interior waterproofing system to keep your new basement dry. That would include installing a sump pump. While installing a concrete floor in your basement it may be possible to gain a few inches in ceiling height, but that all depends on the depth of the existing footing level of your house. Adding any ceiling height adds value to the home. But do not excavate lower than the existing footing level as that can cause severe damage to your foundations, or even lead to a catastrophic collapse.  Bottom line – the skilled technicians at Canada Waterproofers Vaughan Region follow strict rules and regulations. We understand the importance of safety. When it comes to concrete floors, there are many different concrete strengths and formulas for different types of projects and applications..
We bring 25 years of experience to the table, and offer a fully transferrable warranty to back up our work.